Traffic moves along Main Street in the Southside on Thursday, Jan. 15, 2015. Planning commissioners will host a final open meeting Thursday on proposed new codes that are considered the biggest change to downtown Chattanooga development regulations in decades. The new regulations, known as form-based codes, focus on the look and feel of streets and buildings. The proposed changes are part of a 223-page zoning law packet that is set to be recommended for approval next month. Read a full version of planners’ new downtown form-based codes draft, and see a full map of affected areas at www.cha-fbc.com. Draft of part of the proposed form-based code zoning map for downtown Chattanooga. City planners have been working for more than a year now to write a new group of downtown zoning laws to replace the use-based codes currently in place. The current code system has been criticized for its complexity and difficulty of application for downtown properties and projects. Karen Hundt, director of the Regional Planning Agency's community design group, has hosted a series of workshops about form-based codes over the last year and said during a recent meeting that the existing code system is "kind of out-of-date" and "doesn't work very well." Hundt said the code system has "needed an overhaul for a long time." Simply, existing zoning regulations are most concerned with how a property or building is used, whether for residential, commercial or industrial purposes. Consideration is given to whether the use of a property fits into the use of other properties around it. Planners generally discourage mixing uses through zoning. Form-based zoning, on the other hand, is most concerned with how a property or building physically fits in with its surroundings, and how accessible streets and buildings are to pedestrians on foot and bicycle. Form-based codes are specifically designed to enhance the walkability of cities, and they prioritize that over use. Form-based zoning also generally allows a greater mix of uses through looser use regulations. The potential and likely transition from use-based to form-based zoning regulations downtown will affect an estimated 2,900 industrial, commercial and residential properties spanning from the North Shore area to the Southside, and from U.S. Highway 27 on the west to Warner Park in the east. New constructions and existing properties undergoing significant exterior renovations and expansions will be governed by the new laws. Otherwise existing structures, including those undergoing routine maintenance and interior renovations and repairs, will not have to adhere. The proposed changes comes at a time when urban development increasingly calls for mixed-use development and construction, manifested by already-existing requirements that downtown apartment buildings have ground-floor commercial space. 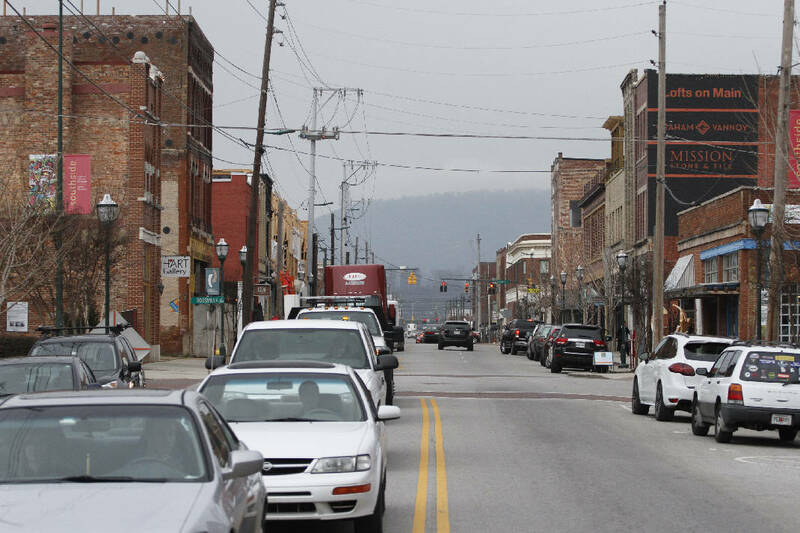 Consider it a dynamic solution for a dynamic, growing downtown faced with growth and consequently, growing pains, said Terry Greene, executive officer at the Homebuilders Association of Greater Chattanooga. "I think it is a natural change for a community that is on fast forward," said Greene. Greene, like others in development and construction in the city, sees the need for and potential benefits of the form-based code change, but his optimism is also tempered with caution. "I think that it's a work in progress," he said. "I think everybody understands that this project is moving forward. Is it perfect? I doubt that it is." Greene said homebuilders have concerns about requirements like those in the new codes saying building facades have a minimum amount of windows and doors. He said it would be alarming for builders if the city ventured from form into design. "It's one thing to say a building can only be so high," he said. "It's another thing to say the buildings on the corner have to look a little bit different." Greene expects the wrinkles will be ironed out going forward through discussions with planners. Ben Pitts, a member of the Greater Chattanooga Association of Realtors board of directors, also sees the good and bad in the new codes. "It takes away and it gives," he said. The Realtors association sent planners a letter in March identifying their own issues with Chattanooga's form-based code: among the problems, parking requirements (which would disallow a project like Two North Shore based on parking regulations) and the make-up of a Form-Based Code Committee, which will act as a ruling body on certain downtown development issues. According to form-based code regulations, a nine-member committee made up of local developers, Realtors, architects, contractors, engineers, bankers and city property owners will meet monthly to approve or reject projects requiring major modifications of the downtown regulations. The make-up of the committee was revised from the form-based code's first draft, following the Realtors associations' statement. Otherwise, future projects falling under form-based code jurisdiction will be submitted first to the city's Land Development Office, and the office's director, Gary Hilbert. That office will have the authority to green light projects without them coming before planning commissioners, and the Land Development Office will also have the authority to grant minor modifications from the codes. In its March letter to RPA leaders, the Realtors association said of the new process, it "has little accountability to the public." Still, Pitts said there are positive takeaways right now, including the ongoing conversation with planners and their willingness to tweak the form-based code. He said going forward, that will be a critical component in getting the form-based code right. "It's a whole new world. It changes a whole lot," he said. "I was a skeptic, and I wanted to like it, but I was a little cautious about it. I'm still certain there will be problems, but that doesn't make it a bad thing." Planning commissioners will host a special workshop with a question-and-answer session Thursday evening at 5:30 p.m., in the City Council meeting chambers at 1000 Lindsay Street.